Right now it's snowing outside my window as I write this, so I find it hard to believe I'm sending you the April newsletter, let alone talking about show season, but the calendar says it's April, so it must be true! We are trying to get out the word that if you are showing at a USEF show this season, all owners, riders, and trainers must be an AMHA Standard or Premium member; if a person renewed at the $40 Associate level, this does not give them competition privileges. Please help us get out the word! Thank you! Also, don't forget, if your club hasn't renewed its membership for 2016, please send these along as soon as you can, especially for those clubs that hold shows! June 1 is the deadline; after that date any club that doesn't renew will be taken off our website. http://www.morganhorse.com/membership/join to renew or call AMHA at (802) 985-4944.
http://www.morganhorse.com/membership/cards to get instructions on how to download your card. You gave us your feedback on AMHA's Pathways Program and we listened! Effective immediately, AMHA announces several changes to its Pathways program, the first being a name change. The program will now be called the "My Morgan and Me" program to emphasize that all time spent with Morgans is rewarded because AMHA recognizes the special bond that exists between a horse and rider. Secondly, the program will no longer be limited to just time spent riding and driving, AMHA will recognize any and all non-competitive time spent with your Morgan to count toward your hours. We understand the value of groundwork, grooming, and just enjoying quality time with your Morgans, so the program is now expanded to include all activities. Thirdly, AMHA will now use an honor system for the My Morgan and Me program. You no longer need to submit hour logs to AMHA, instead, please contact AMHA by mail, fax, or email to tell us when you achieve a new hour milestone and we'll update your record. When you submit this information to us, we would love for you to include a paragraph or two about how you achieved these hours with your Morgan. You can also send us a photo! We will share these stories on our Facebook page and may use them for future promotion of the program on the website as well. The last change concerns the program fee. Currently it is $15 per year of participation along with your AMHA membership. An AMHA membership is still required, but we are waiving the $15 yearly fee and now participants will submit a $25 application fee when they submit their new hour milestone. Lifetime enrolled members will be grandfathered into this new system. Additionally, those who already paid $15 for their 2016 enrollment will be exempt for the remainder of the calendar year. For more information, contact David Owens, davidowens@hotmail.com. For more information, contact John Lampropoulos, sheri2517@hotmail.com. For more information, contact Gert Shuckhart, majicstable@aol.com. AMHA Executive Director, Julie Broadway, has been named president of the American Horse Council (AHC), succeeding Jay Hickey, who is retiring June 30, 2016. The American Horse Council, founded in 1969 as a Washington D.C.-based national association representing all segments of the horse industry, promotes and protects all horse breeds, disciplines and interests in communicating with Congress, federal agencies, the media, and the industry itself. "We are sad to see Julie depart after nine years with AMHA, but are beyond thrilled for her in her new position," said AMHA President Jeff Gove. "Julie has made tremendous contributions to AMHA and we've experienced some great accomplishments during her tenure. I also want to thank Julie for her leadership during the upcoming transition." The AMHA Board of Directors has appointed Molly O'Brien as Interim Executive Director while a search is conducted for a permanent replacement. O'Brien will spend approximately six weeks with Broadway getting up to speed. O'Brien's previous experience includes leadership positions at AMHA, International Arabian Horse Association, Turley Publications and most recently W. F. Young/Absorbine. In addition, she co-chaired the New England Morgan Horse Show Committee for 10 years, and has managed the Massachusetts Morgan Horse Show since 2008. The Association is seeking an experienced leader to serve as its Executive Director and to guide the association into the future. The Executive Director is expected to provide vision and leadership by planning, organizing, directing, and coordinating the activities of the Association and the Educational Charitable Trust. 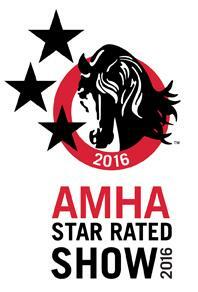 This is a full time position located at the AMHA headquarters in Shelburne, Vermont. A full copy of the job description is available upon request. Resume, letters of interest, and salary requirements may be sent electronically to AMHA President Jeff Gove at jeffreygove@yahoo.com. Deadline for submissions is June 1, 2016. No phone calls please. In 2016, 10 percent of the net from AMHA's Stallion Service Auction is available for the AMHA grant program for financially challenged USEF Morgan competitions. This year, ten shows applied for the grant and five were selected. The following recipients of grant monies for their 2016 shows are: Champlain Valley Morgan Horse Club's Open Horse Show, Colorado Classic Horse Show, Oregon Morgan Classic, Mississippi Valley Morgan Horse Club's Versatility Show, and the New York State Horse Breeders Horse Show. For more information on the AMHA Show Grant Program, contact AMHA at (802) 985-4944. Attention Youth! Make sure you "Like" our Youth Facebook page "Say Hay" to see the latest news about Youth Contests, great photos of Morgans, and hear the latest news from the AMHA Youth community. 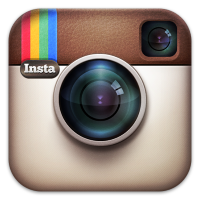 We also have a new Instagram account you can follow, @AMHA_Youth. Be sure to tag us in your photos on Facebook and Instagram using the hashtag #AMHAYouth so we can share your photos! Morgan Breed Promoted Across the U.S. In the fall of 2015, AMHA introduced a new Breed Promotion Grant that is offered to Morgan enthusiasts for their promotional efforts. The grant replaces the former Trade Show Funding that was offered to AMHA clubs, is open to any AMHA club, organized Morgan group, Morgan barn, or AMHA-affiliated organization. 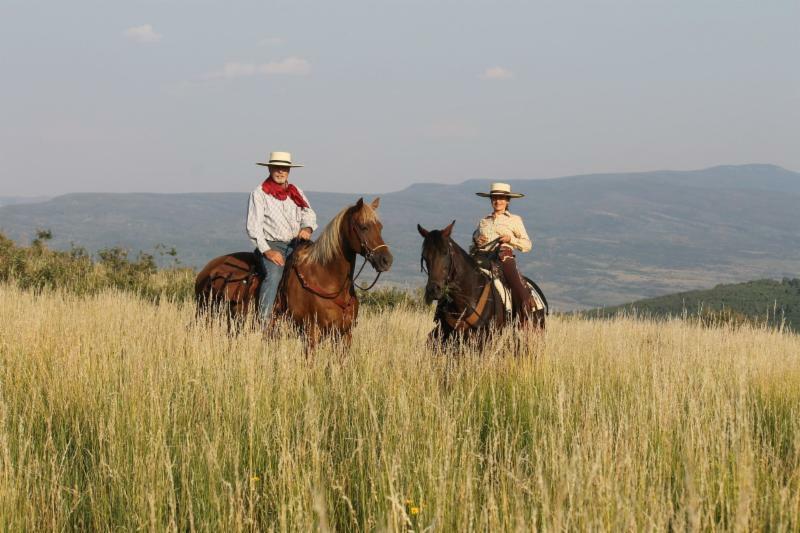 Two recipients of the grant have promoted the breed in New York and Washington. See what happened! 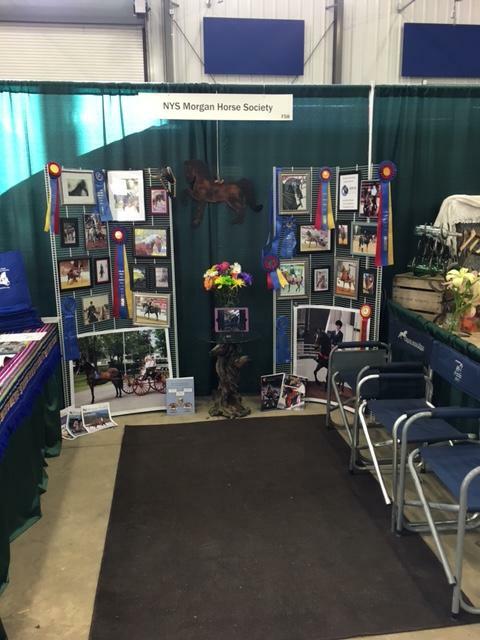 The New York State Morgan Horse Society (NYSMHS) occupied a booth at the WNY EquiFest, held March 19-20, 2016 in the Showplex and Agricultural Discovery Building on the Erie County Fairgrounds in Hamburg, New York. This two-day equine expo has grown each year and the NYSMHS is proud to promote the Morgan Horse during the event. A colorful and inviting booth welcomed visitors with an array of framed pictures and a photo slideshow on an iPad, showcasing Morgan versatility. A table covered with AMHA promotional materials, as well as horse show and NYSMHS club information, was available to anyone that stopped by. Several club members manned the booth throughout the weekend, eager to talk about the breed. The Morgan was also represented during the expo in Breed Avenue, a Cowboy Dressage demonstration, and a Carriage Driving demonstration. Thank you to the AMHA Promotion Grant for helping us promote this great horse! WOW what a great weekend and event! 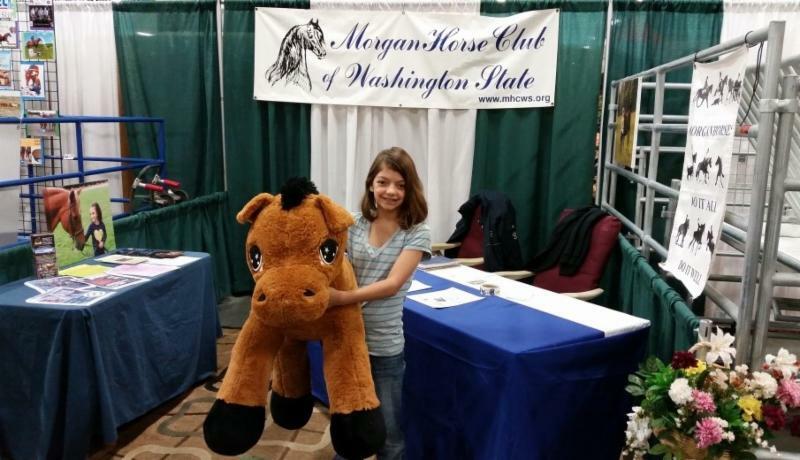 I talked to MANY people about the Morgan horse and we were very well received! I can't tell you how many people were very appreciative to have someone there to represent the Morgan breed. AND there were many people that HAVE Morgans who were not members and some didn't even know we were in existence! What a wake up that was! We had a huge stuffed horse that I named Justin, and took names and phone numbers to raffle him off. Justin was a HUGE hit with children and adults alike, but there could only be one winner and we drew her name on Sunday morning! Here she is with a huge smile! Amanda from Vancouver WA is the new owner and forever home for Justin! Congratulations to Amanda! There were pretty heavy crowds Friday and Saturday and of course lots of vendors with all sorts of things to sell, from tack and feeds to hay bags, clothing and trailers. I was lucky to have my dear friend and fellow Morgan owner Ann Robitaille help me out with setting up on Friday, and bringing some items to help set the booth up and gave me a break on Saturday. She was great with the visitors at the booth! Across the aisle from our booth were some people from South Ridge Farms in Ridgefield, Washington. They were part of some of the exhibitions and they ride the discipline of Working Equitation. In talking with them I found out that they had started with Quarter Horses, but once they had gotten a Morgan, they were so impressed with the work ethic, maneuverability and temperament, that they are now looking to add more Morgans to their program! Rob and his Morgan "Jack" were a wonderful pair to display the talents of our Morgans! We were also blessed to have Carol Dombrowsky's two-year-old stud colt Oregon Country Flash to represent the Morgans as well. This boy is beautiful, stands about 15 hands already, and still has time to grow! Sunday was the last day and even though the crowds were not as heavy, we still had plenty of people to greet. Linda Collins came down to help out and was a very welcome help in talking to everyone! We talked to a lot of people and they were all very happy that we were there to represent our wonderful and versatile Morgan horse! We will be attending more of these kinds of events in the future, they are a lot of fun! The Buckeye Morgan Challenge, to take place August 11-13, is moving! It will now take place at its new location, the Eden Park Equestrian Center in Sunbury, Ohio. The facility has two large inside arenas, lots of stalls, outside rings to work horses, and more! The show will have a Dressage and Carriage Driving divisions as well as all disciplines. This year's judge will be Bert Earehart. The show bill will be out in May. For more information, contact Show Manager at Marilyn Ackerman, dakota003@localnet.com. 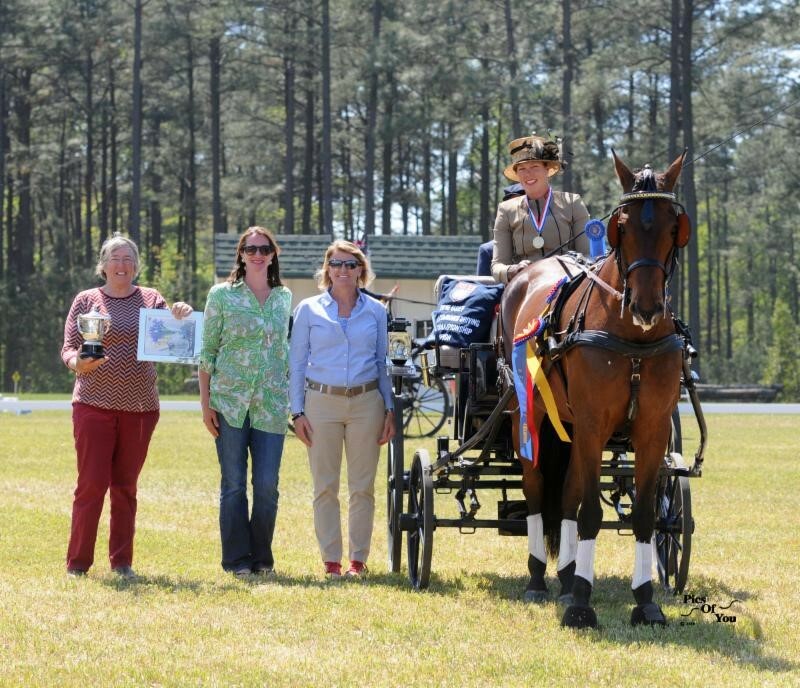 A field of seven talented combinations vied for top honors over the weekend in the 2016 United States Equestrian Federation (USEF) Single Horse Driving National Championship held at the Southern Pines CDE. Suzy Stafford and PVF Peace Of Mind (Statesmans Signature x JPR Have Mercy) led from start to finish to claim their second consecutive National Champion title, finishing on a score of 134.17. In addition to the championship, the CAN2* Single Horse and Four-in-Hand divisions served as Selection Trials for this summer's FEI World Driving Championships. Stafford of Wilmington, Delaware, drove a beautiful dressage test with her own PVF Peace of Mind on Friday to begin her quest for the championship title. She and the 2007 Morgan mare displayed excellent trot work, quality canter work, and impressive halts to win the dressage phase with a score of 37.60 from the Ground Jury of Sarah Mullins (IRL), Debbie Banfield (USA), and Sem Groenewoud (USA). The pair delivered a great marathon performance over Richard Nicoll's challenging track around the Carolina Horse Park to win the phase with a score of 87.32. Stafford and "Hunny" had some bobbles in obstacle four, the Pine Trees, but had the fastest times of the division in obstacles three, the Wood Pile, seven, A Bridge Too Far, and eight, the Gum Tree Wheel. In Sunday's cones phase, Stafford and her 2015 USEF International Horse of the Year partner had balls down at the A element of three and four and 3.25 time penalties, totaling 9.25 penalty points. However, the combination had a significant lead going into the final phase, allowing them to win the title. 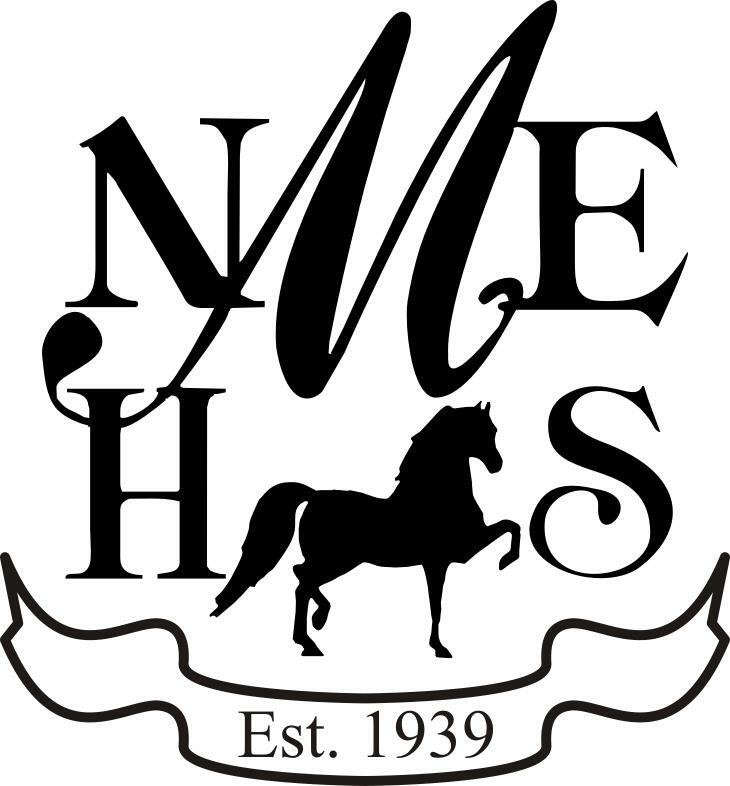 The 2016 New England Morgan Horse Show (NEMHS) is excited to be hosting a select show horse sale. The New England Summer Invitational Sale will be held Monday evening, July 25, before the horse show begins. The NEMHS has been the home of some very successful public sales. This sale will be no different. Peter Fenton will be managing the sale. His integrity and commitment to excellence is a winning combination to manage this special sale. Consignments will close May 15, and the catalog will be out by the beginning of June. Please contact Peter Fenton for consignment information at petervoice1234@gmail.com or (859) 321-9281.